All programs are subject to change and/or cancellation without prior notice. ALL WORKS PRESENTED IN THE FESTIVAL ARE UNRATED. PARENTAL GUIDANCE IS SUGGESTED. Please arrive 30 minutes before the scheduled program. Seating cannot be guaranteed for ticket holders who arrive after the program begins.Empty seats may be resold; no refunds will be issued. Questions? Contact us at [email protected] or call (213) 680-4462 x59. Ticket package sales end April 27th, 2018. Buy 10 tickets at a discounted price! 10-pack vouchers can be redeemed for all ticketed programs EXCEPT for Opening Night, Closing Night, Centerpiece and C3 Conference. No limit per program. Get priority seating and entry to the majority of Festival events! Free to the Public. Tickets are required for admission into the theatre and will be distributed online and at the Box Office. First come, first served. Online: Online ticket sales for individual programs end one (1) hour prior to its screening. 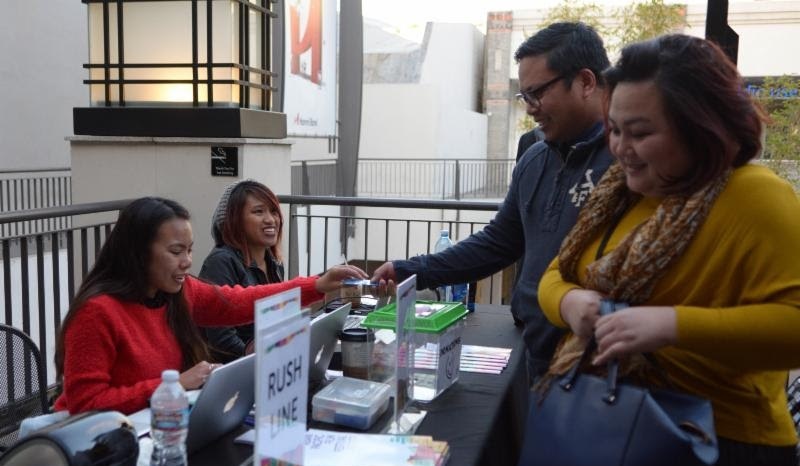 Phone: VC Member tickets can be ordered by calling the Festival Ticket Line at (213) 680-4462 x59, Monday – Friday, 12pm – 5pm from April 2 – April 27 only. In-Person: Tickets available for all shows can be purchased at the following dates and locations during the Festival. Box offices open one (1) hour prior to the first show of the day. Note: Service fees apply to all online and phone orders. Limited rush tickets are available for sold-out programs. A rush line will form outside the venue one hour before show time. Seats will be sold on a first-come, first-served basis to those waiting in line. All Sales Are Final. NO REFUNDS. Exchanges given only for program cancellations.